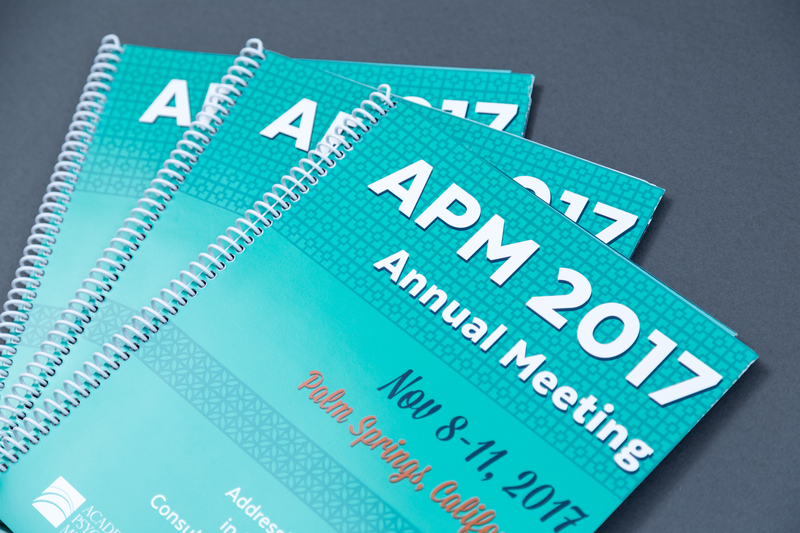 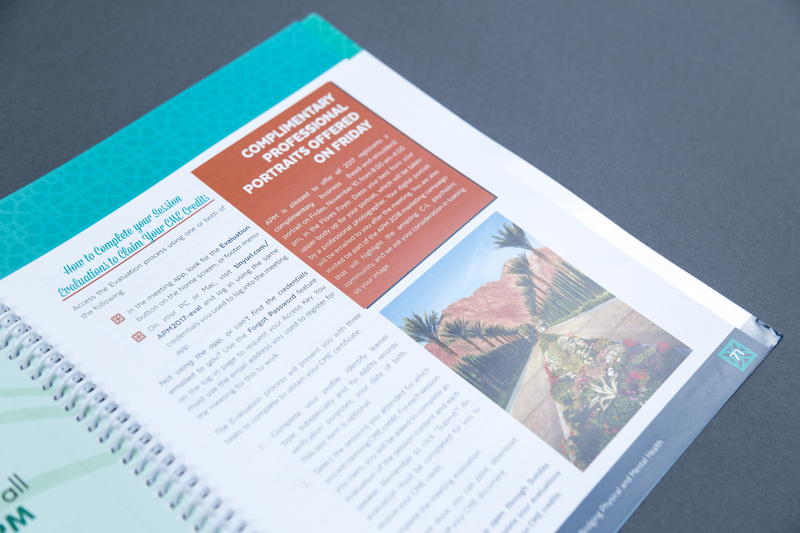 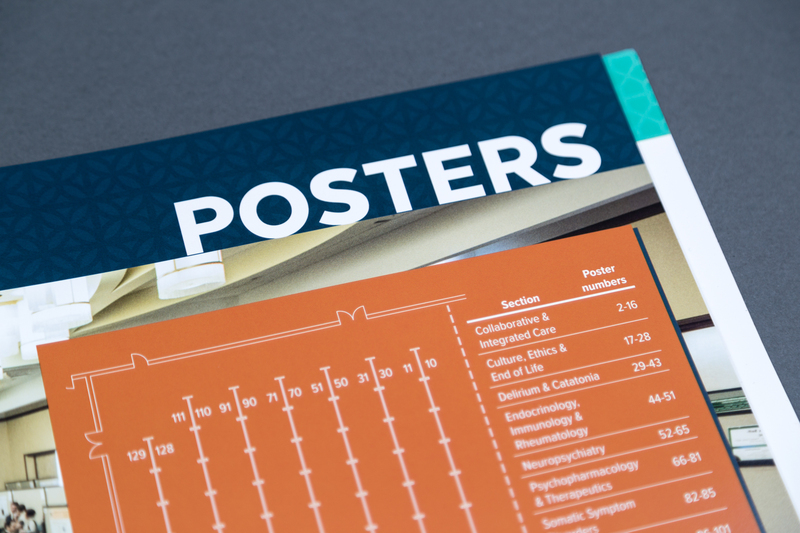 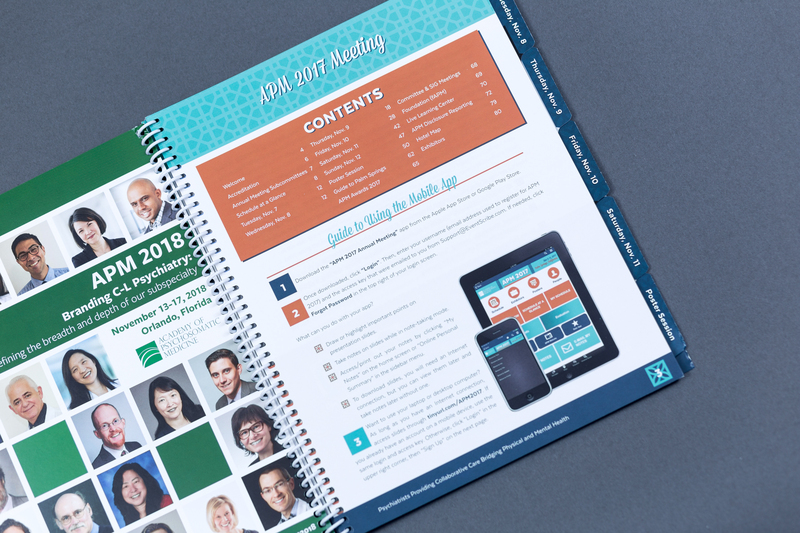 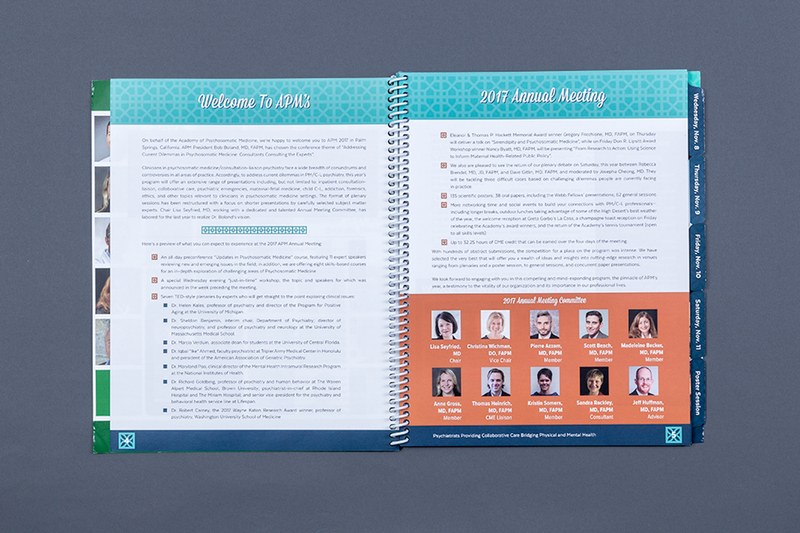 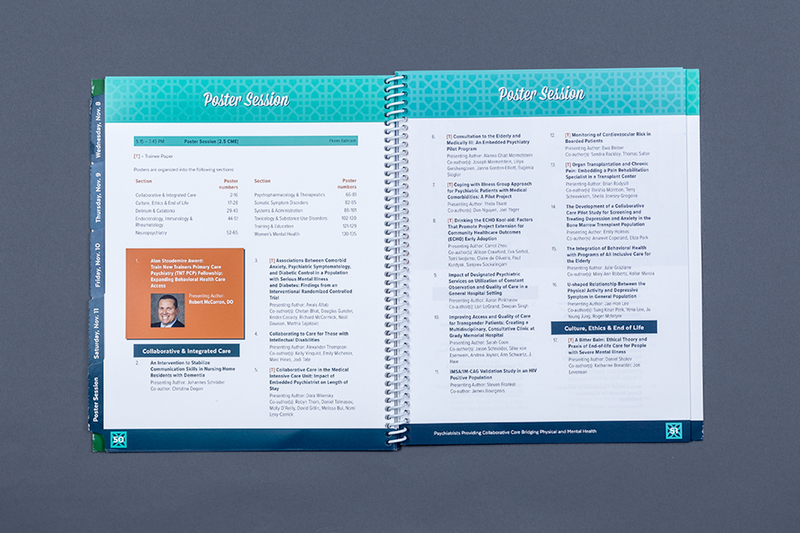 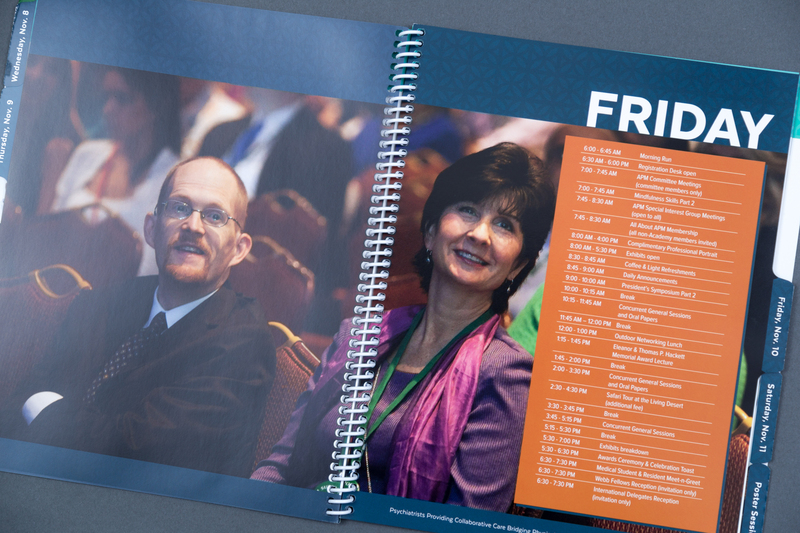 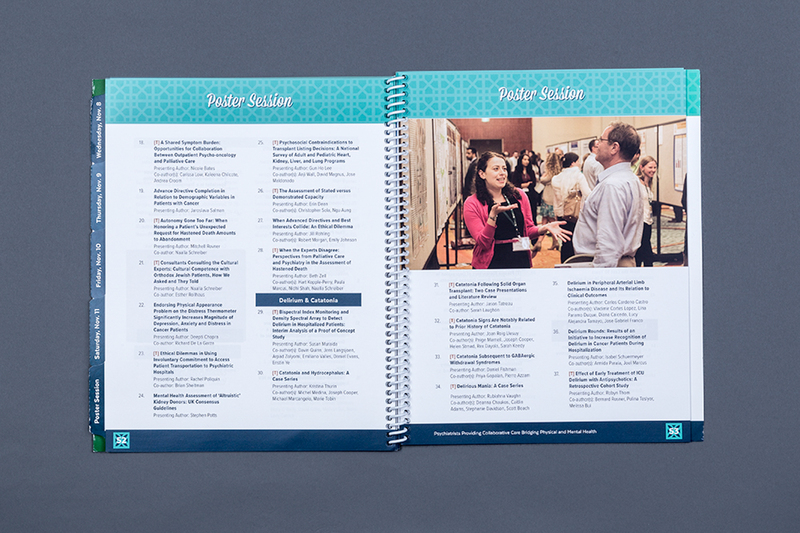 The Academy of Psychosomatic Medicine needed fresh and clean conference materials for their annual meeting that solved some of the logistical problems they’d encountered in previous years. 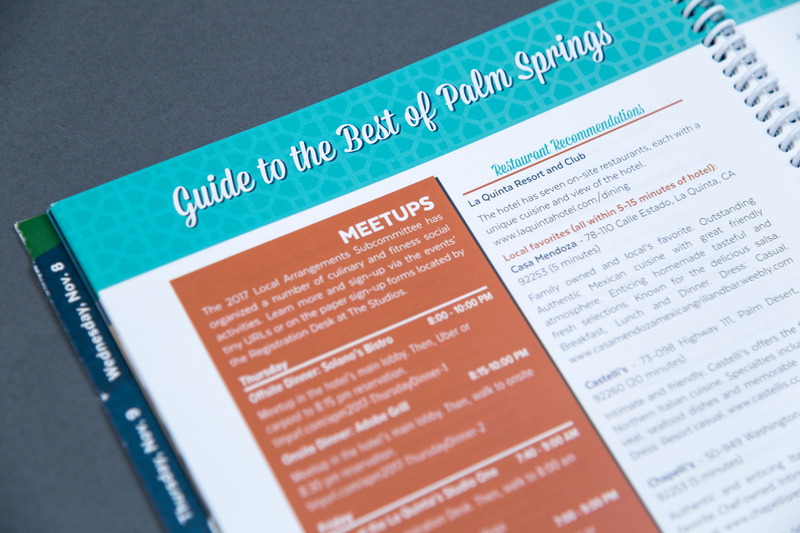 I created a robust branding strategy of color, typefaces, and patterns that reflected the location of Palm Springs. 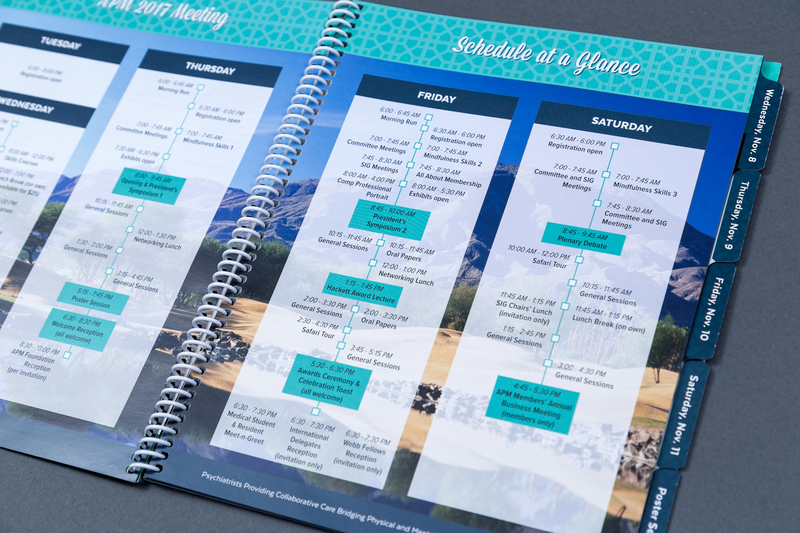 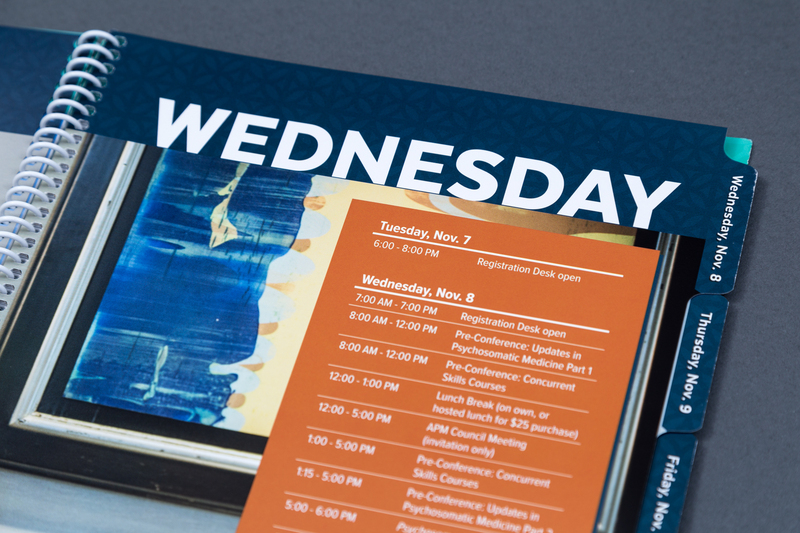 I adapted the branding to a save the date ad, web graphics, print journal advertisements, and finally the event materials to create a unified event experience for the attendees. 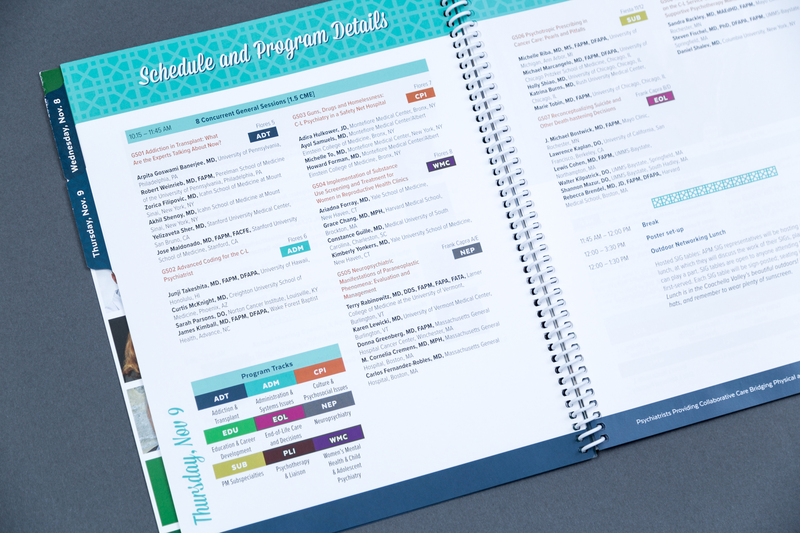 The print program used several unique features developed this year to address some of the common problems encountered by attendees and staff. 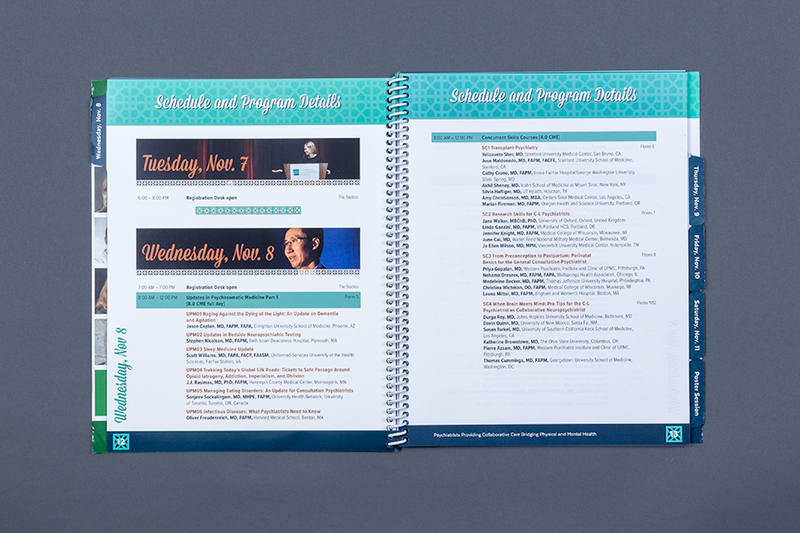 Firstly, I designed a tabbed system to help navigate through the days of the detailed program quickly. 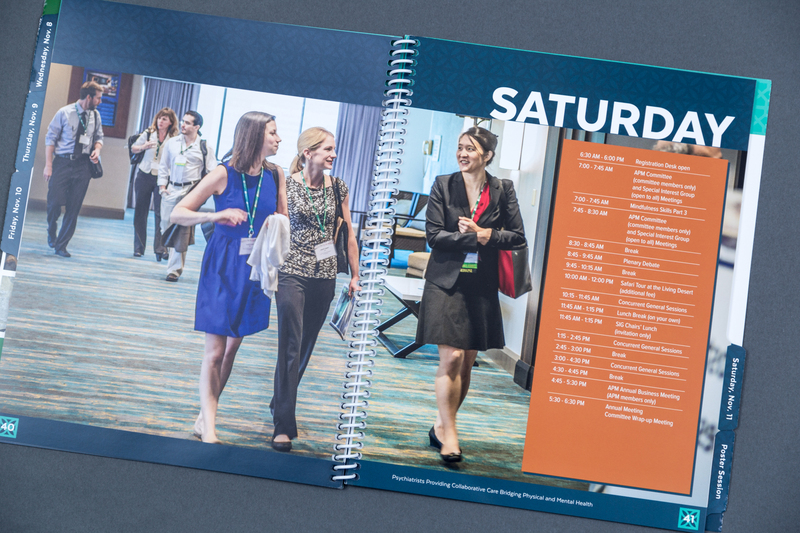 On each tabbed page was a synopsis schedule to help attendees plan their day. 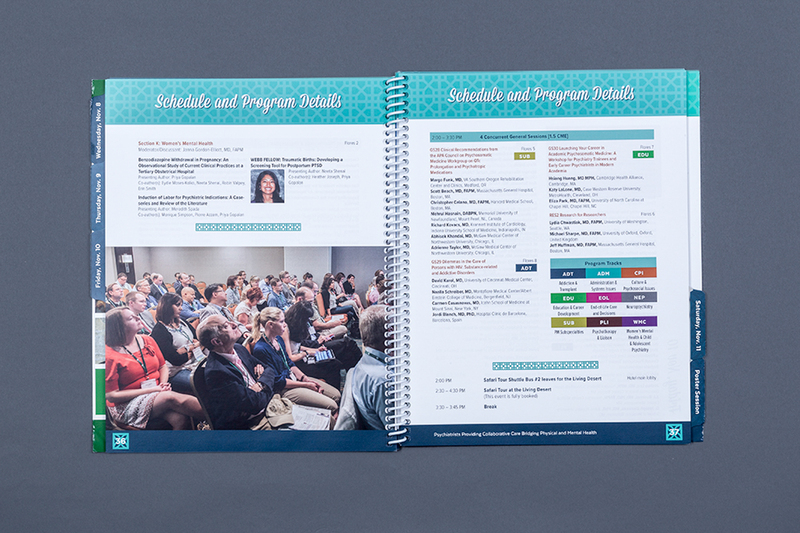 An even more streamlined “schedule at a glance” early in the program book gave people an overview of the important events and sessions. 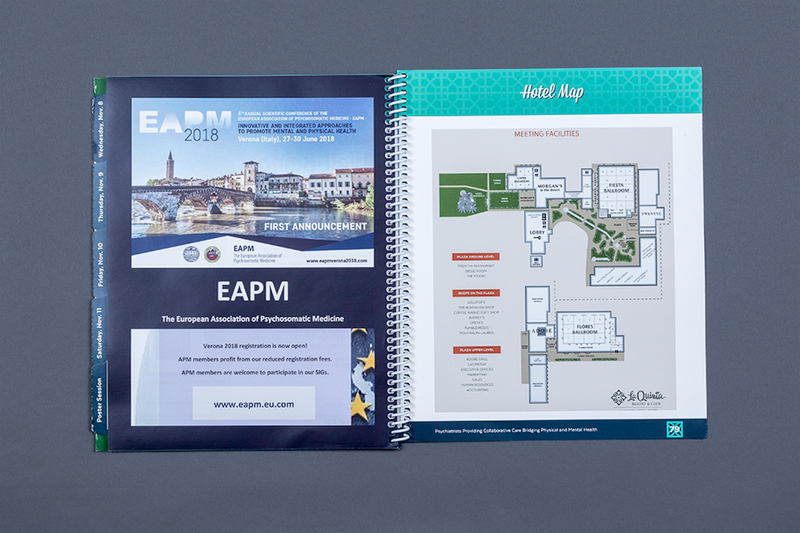 I also moved the hotel map to inside the back cover to make it easier for the participants to physically navigate the conference. 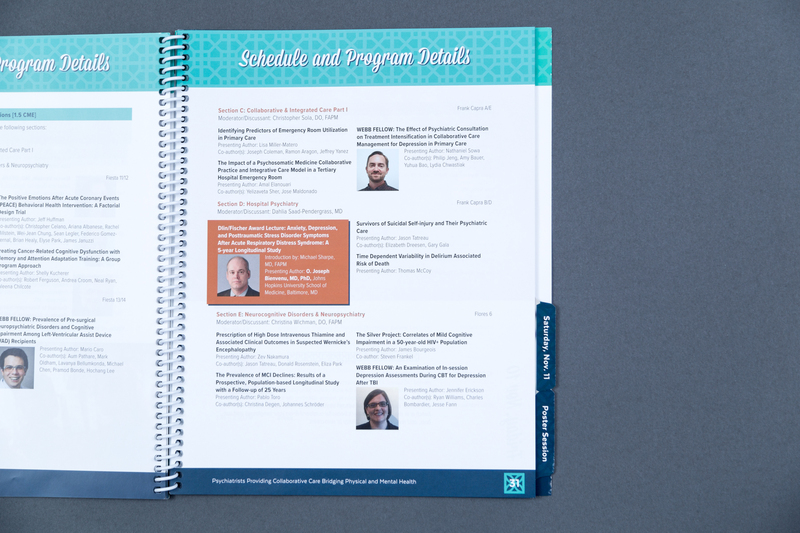 I created a summary of instructions for the conference app and placed it on the first page, helping cut down on questions to the staff about usage. 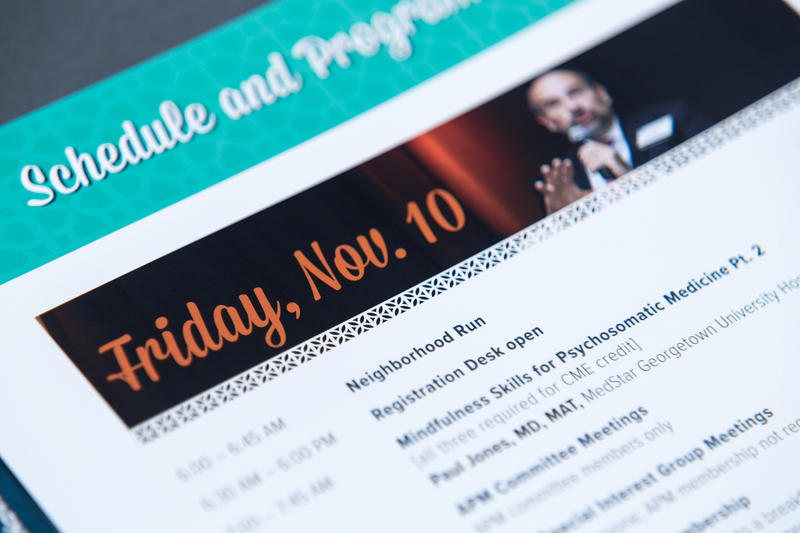 Environmental signage rounded out the materials and gave the conference a cohesive feel.